I am so thrilled be part of the TLC Book Tours. This is my first! 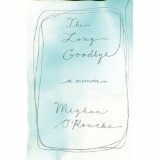 When TLC Book Tours first posted The Long Goodbye on their blog, I knew I HAD to read it. I sent the synopsis to my sister in an email and stated, "OMG, this book is something we MUST read. I can't wait until April 14th to buy this." I don't want to get into details, but I too lost my mother to cancer (leukemia) after she battled it for a year. Like Meghan, my mother was everything to me. She was and always will be my hero. We had a very special relationship and talked several times a week, if not daily. I moved away from Michigan in 1989 and even though I didn't leave near her, we were still amazingly close. Synopsis: "What does it mean to mourn today, in a culture that has largely set aside rituals that acknowledge grief? After her mother died of cancer at the age of fifty-five, Meghan O'Rourke found that nothing had prepared her for the intensity of her sorrow. In the first anguished days, she began to create a record of her interior life as a mourner, trying to capture the paradox of grief-its monumental agony and microscopic intimacies-an endeavor that ultimately bloomed into a profound look at how caring for her mother during her illness changed and strengthened their bond. 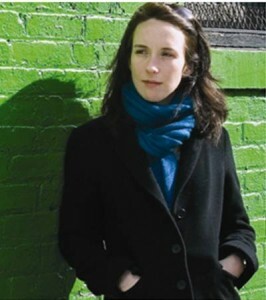 Meghan O'Rourke is the author of Halflife, a collection of poetry. She is a cultural critic for Slate, and her essays and poems have appeared in The New Yorker, The Nation, and other publications. She lives in Brooklyn, New York." My Review: I have never made margin notes or highlighted sentences since I was in college and certainly never did this to one of my "pleasure" books. I couldn't help it though, I was underlining certain sentences, making my own notes in the margin since this book was so relate able me. There were so many similarities between Meghan's memoir and my own experience that I felt she was writing the book for me. This book took me through a journey I never wanted to go through again; however, this time through the journey, I was able to understand my grief and realize what I had been (and still am) going through is "normal." To say Meghan's memoir is heart-wrenching is an understatement. It is beautifully written and pulls you in from the very beginning. If you have experienced losing a love one, this book is a must If you haven't, but are looking for a wonderful memoir, this book is a must. I will be purchasing this book for my siblings and I think this would be an amazing gift to give someone who has lost someone close to them. Check out this great podcast on Amazon where Meghan talks about the book. 1. Be a follower of this blog (leave a comment stating you are a follower or just became a follower). 2. Post a comment let me know one of your favorite books. The contest ends April 13th at 11:59 PM EST....just in time for the books release on April 14th. I'm part of this book tour as well and had a similar reaction to you. In fact, I also lost my mom to Leukemia and so this book felt incredibly personal. Isn't it amazing how a book, written by someone I've never met, can feel like it was written about my own experience. I suppose that's the power of grief, like O'Rourke said, there is a club you join when a loved one dies. I listen to Slate all the time... I remember the author talking about her book and her mother. This one is too close to home for me right now... but I'm sure it's a lovely book. I just became a follower and look forward to it! One of my favorite books was the Friday Night Knitting Club and it's sequels. Although fiction, it follows the lives of a family where continuing after unexpected loss is hard. just became a follower...just finished "without a map" a memoir by Meredith Hall, i loved it. looking forward to this book! thanks! I have several favorites but to name one, SUZANNE'S DIARY FOR NICHOLAS. This looks like an amazing book. I'd love the opportunity to read it! One of my favorite books is "Here Burns My Candle". It is historical fiction set in Scotland during the Jacobite Rebellion. What I really loved about it is the tale of love that developed between a daughter in-law and mother-in-law. It was as close as mother and daughter. It is modeled after the story of Ruth and Naomi. I am a Google Friends Follower of your blog. My favorite book of all time is Gone With The Wind. Love to read this book. Please enter me. Thanks! Thanks for the chance! One of my favorite books is Under This Unbroken Sky by Shandi Mitchell. I'm sorry for the belated comment but just wanted to say thank you for the very good review. And I'm so sorry about your mother. Thank you for being on the tour and sharing your thoughts with your readers!